For example, at Formnext, SABIC is highlighting its award-winning* EXL AMHI240F filament, a high impact material now available in white, as well as black. Its formulation, which includes a proprietary composition coupled with optimized colorant technology, provides up to four times the impact strength of standard polycarbonate (PC) and a more ductile failure mode in printed parts, as confirmed by SABIC’s material performance validation partner, RP+M. SABIC is showing several printed parts that demonstrate the versatility of EXL AMHI240F filament. SABIC is involved in the research and development of new materials to help address the evolving needs of the industry. Featured at the stand are several developmental solutions that can provide improved performance versus options currently available in the market today. SABIC’s FST filament offers ease of processing along with low smoke and toxicity properties, and is capable of meeting OSU 55/55 requirements for aerospace applications. 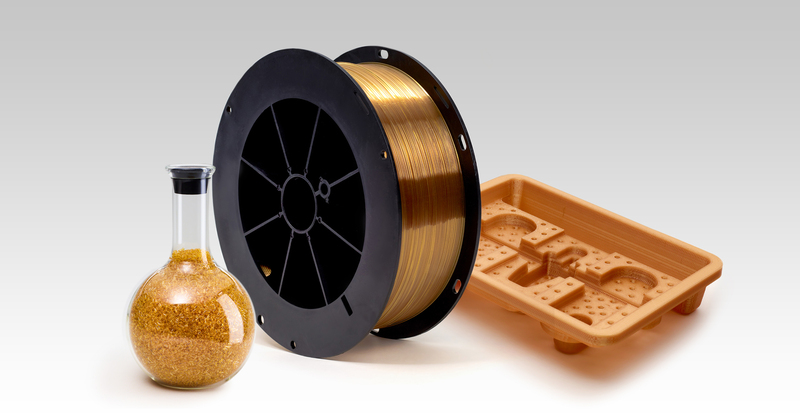 A second concept material featured at the stand is EXTEM™ filament for potential applications requiring higher-temperature performance than ULTEM™ filament. SABIC is also developing an advanced breakaway support material to complement its aerospace grade ULTEM™ AM9085F filament. The new support filament offers faster removal of the scaffold structure from parts with complex geometries, and can help reduce the cost of post-processing operations. Also on display are several parts printed with SABIC’s high-performance filaments on a variety of open architecture printers, offering customers greater choice and the opportunity to pursue new application areas. 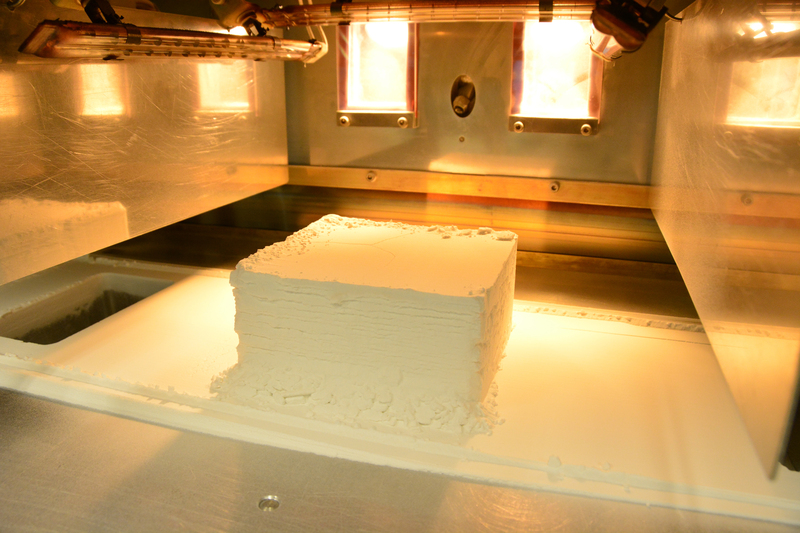 SABIC’s portfolio of THERMOCOMP™ AM reinforced compounds, which includes materials based on ULTEM™ resin, is helping to encourage the use of LFAM for specialized applications, such as high-temperature autoclave tooling for the aerospace industry, reusable tooling for the cast concrete industry and a wide range of lower-temperature large part thermoforming tooling. Printed tools can help to reduce cost, construction time, inventory and weight vs. traditional steel tools. 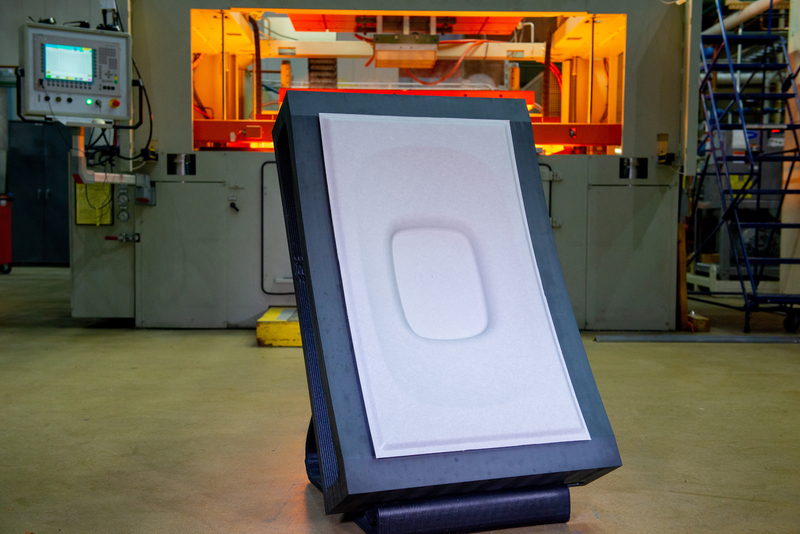 SABIC is featuring a thermoforming tool for an aircraft interior panel printed on a Thermwood LSAM® machine using THERMOCOMP™ AM EC004XXAR1 compound, a SABIC material based on ULTEM™ resin with 20 percent carbon fiber reinforcement. 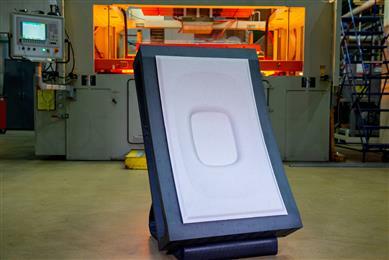 In addition to its development of tooling applications, SABIC is working closely with LM Industries Group Inc., parent company of Local Motors, to validate various large format materials for printing finished components of its next iteration of Olli, the world’s first co-created, self-driving electric shuttle. On display in the stand is a fender from Olli, printed on a BAAM® machine from Cincinnati Inc. using one of SABIC’s THERMOCOMP™ AM compounds. To expand the scope of SLS, SABIC is developing innovative technology to help overcome some of the traditional drawbacks of amorphous resins in this process – including incomplete layer consolidation and parts with lower density, dimensional inconsistencies and sub-optimal physical properties. Using SABIC’s proprietary technologies, the company has demonstrated the ability to produce fully amorphous parts with part densities above 96 percent, good dimensional stability and low refresh rates. SABIC representatives are available at Formnext to elaborate on the technical aspects of the company’s recently announced materials and those still in development. Using SABIC’s proprietary technologies, the company has demonstrated the ability to produce fully amorphous parts with part densities above 96 percent, good dimensional stability and low refresh rates.